Trevor Penn came through twice for the Rio Grande Valley White Wings in this June 1995 game, The Brownsville Herald wrote. He knocked in runs on a single and a double, part of a post-slump resurgence, according to The Herald. "I've been seeing the ball better the last three games," Penn told The Herald afterward. "I went through a dry spell, but this homestand I've been seeing the ball." Penn saw the ball well enough to return to the game after four years away. His original career took him to time in four seasons, Penn making it as high as AA. This return to the field in 1995 ended up being his last as a pro. 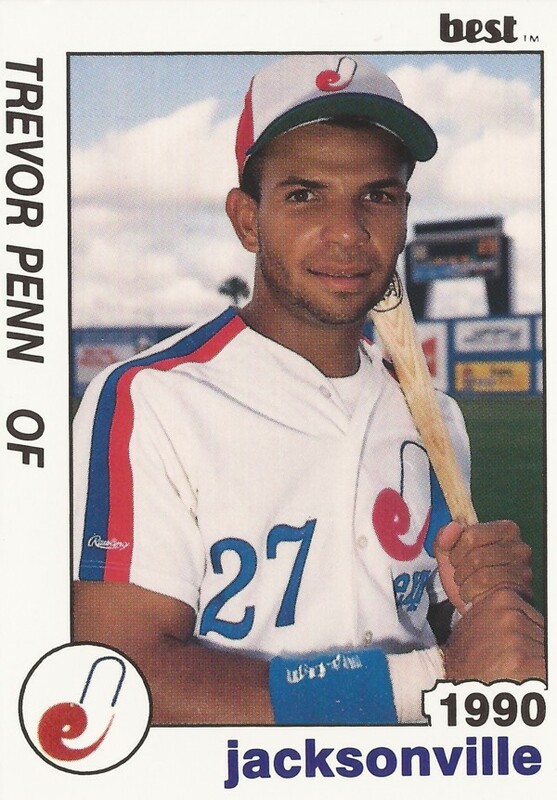 Penn's professional career began in 1987, taken by the Expos in the eighth round of the draft out of Cal State-Los Angeles. At Cal State-LA that May, Penn launched his 10th home run of the season in a win over Northridge. 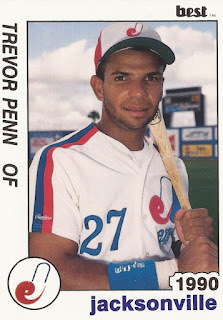 With the Expos, Penn started in the rookie Gulf Coast League. He hit .262 in 62 games. He also stole 10 bases. He moved to single-A Rockford in 1988, hitting .244 there. In 1989, Penn played for single-A West Palm Beach. He stole 26 bases over 132 games. He also hit .262. He went 2 for 3 in a July game, scoring twice. He returned with the Expos for one more season, making it to AA Jacksonville. He hit just .222 over 104 games. Penn then didn't return to the field until spring 1995 and replacement ball. He then caught on with independent Rio Grande Valley. He hit .293 there , with 9 home runs and 22 stolen bases, ending his career.